You are here: Home / News / Madpea’s Halloween Ghost Hunt on our DFS Community farms! 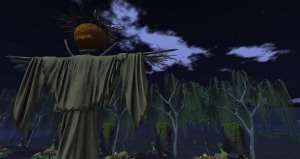 Madpea’s Halloween Ghost Hunt on our DFS Community farms! Let’s have some Halloween fun and collect fun prizes! 6) YHS Community Farm: Done in a rural new england style, they farm is co-op of friends enjoying each others company and their love for DFS farming. https://www.digitalfarmsystem.com/wp-content/uploads/2016/10/dfs-logo.png 0 0 Fairy Catronis https://www.digitalfarmsystem.com/wp-content/uploads/2016/10/dfs-logo.png Fairy Catronis2017-10-24 12:35:282017-10-24 17:45:04Madpea’s Halloween Ghost Hunt on our DFS Community farms! Looking for that special drink for your Big Halloween Party?! We have more yummy Halloween Party goodies for you!